thanksgiving is days away. amidst all the cooking and preparing, i wanted to make something special that my kids would love and enjoy for the holiday. let's be real, they are not going to love the green beans i am planning for thanksgiving day. 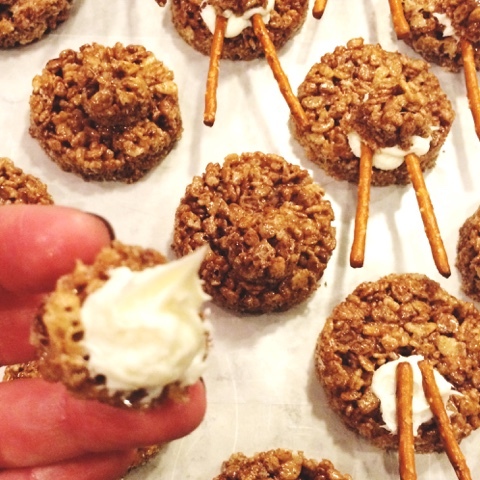 these little turkey treats are a happy addition to our holiday table and the kids think i'm a rock star for making them. 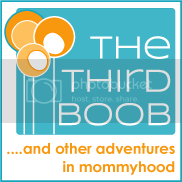 sometimes that's all the accolades i need. in a large saucepan, melt the butter and the bag of mini marshmallows until they are smooth. 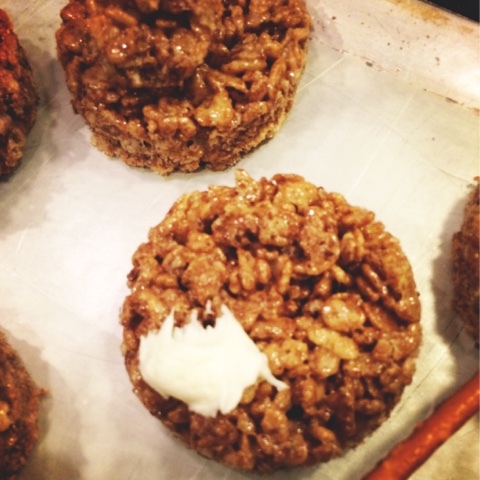 add 8 cups of cocoa krispies until they are well coated. spray a jelly roll pan with non-stick spray. 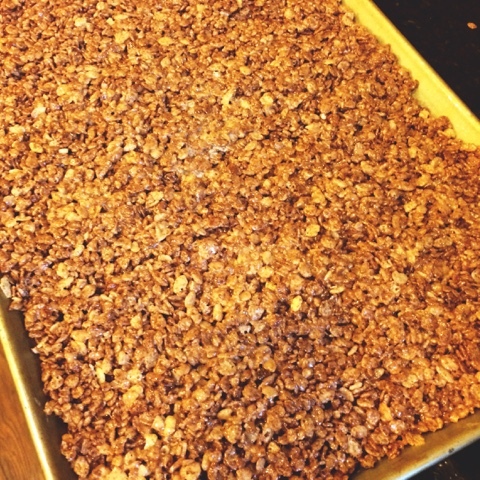 using a piece of wax paper, press the krispy mixture firmly into the pan. 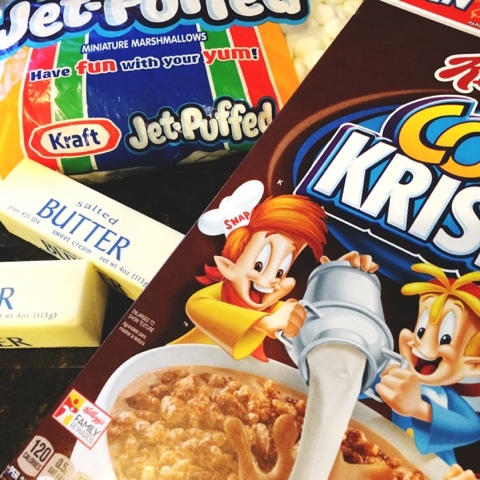 (if you don't have wax paper, spray your hand with non-stick spray and use it to press the krispies firmly into place.) allow to cool. 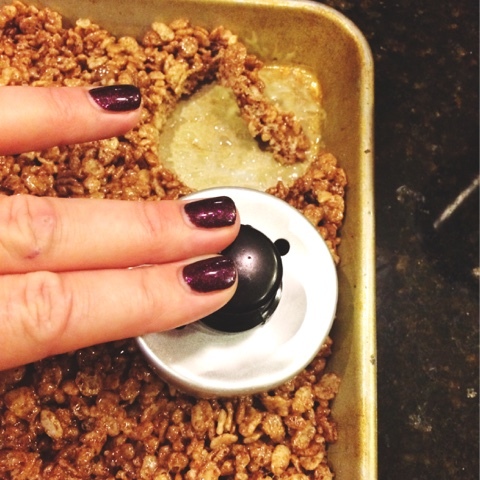 using a donut cutter or a glass with approximately a 3 inch diameter, cut as many circles out of the krispies as is possible. use a much smaller circle (i used the inside circle of a donut cutter) to make smaller circles out of the krispy treats. these circles should be about 1 inch in diameter. 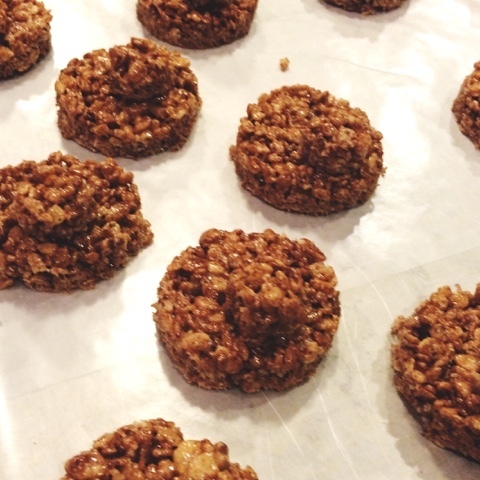 place all the cut out circles on wax paper on top of a cookie sheet. using vanilla frosting, place a blot of frosting on the large circle at the bottom. 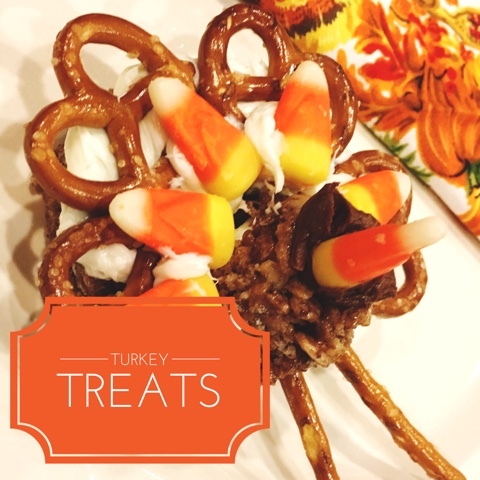 add two pretzel rods pointing down as the turkey legs and then place some more frosting on the small circles and cover the turkey legs with the small circle of krispy treat. 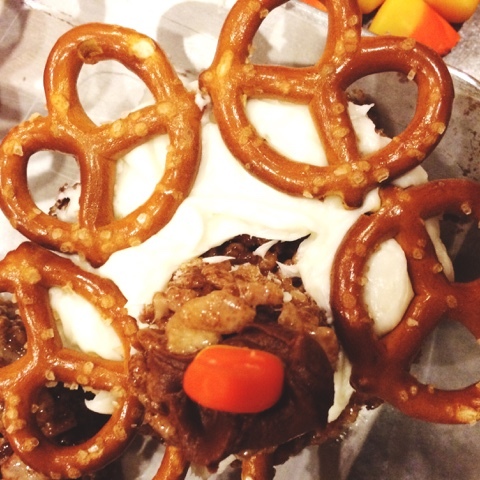 cover the top of the turkey body with frosting and place the mini-pretzels around as the turkey feathers. 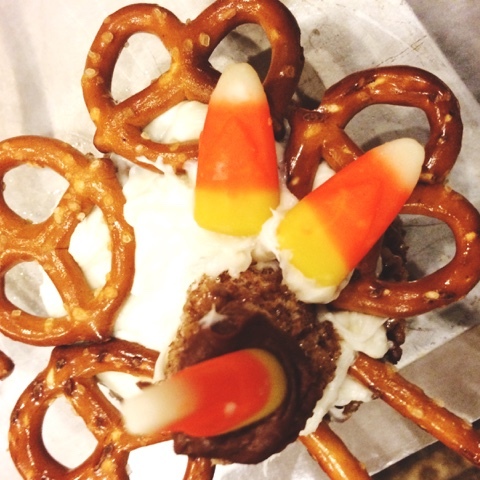 add chocolate frosting to the small circle and add one candy corn as the turkey beak. 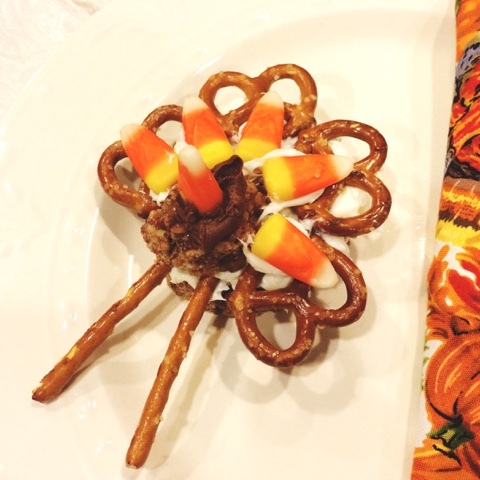 add more candy corn on top of the mini-pretzels to form colorful turkey feathers and wait for the frosting to harden slightly before serving. happy turkey day to kids of all ages!